I can take your product/idea and create a 3D model of it in SolidWorks or OnShape. I can then render the model to make it look really good for presentations. At a bare minimum, you will need to provide sketches with key dimensions. Price is subject to the complexity of the idea to be modeled. This hourly does not include organic shapes that require complex surface modeling. If you are unsure if your idea fits within the boundaries of this hourly please get in touch. In all instances, please get in touch prior to purchasing the hourly to ensure the services you require fit within the boundaries of this hourly. The model and images will be delivered within 3 working days upon receiving all details required. Revisions are not included in this hourly however I may provide them at my discretion. At a bare minimum you must provide legible sketches of your idea or product that you want to have modelled. You must provide key dimensions. Any missing dimensions will either be chosen for you, or it will need to be agreed upon prior to any work starting. It would be best to contact me prior to purchasing to ensure this hourly will meet your needs. 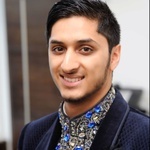 I am the founder of AIB Innovations and am highly skilled in Electromechanical product design and development with a bias towards mechanical engineering. I own a small workshop that...Read moreI am the founder of AIB Innovations and am highly skilled in Electromechanical product design and development with a bias towards mechanical engineering. I own a small workshop that consists of a metalworking lathe, mill/drill, various hand tools and a FDM 3D printer. My experience includes 10 years worth of using SolidWorks and more recently OnShape mostly in the realm of Medical Devices. I very much enjoy solving complex problems using engineering first principles as I have a solid understanding of the engineering fundamentals. This is evident from my educational achievements at Imperial College London. I have achieved a 1st Class Honours in Biomedical Engineering MEng and thereafter a Ph.D. When I come across anything I cannot do, I learn how to do it. Contact me today for your engineering and CAD design needs.